Brianna is, so far, the only travel agent that I refer people to to see an example of a really well done feed. And she’s sharing her secrets with us in this episode. (They’re not really secrets. She’s super generous and shares tons of helpful information with travel agents all the time. 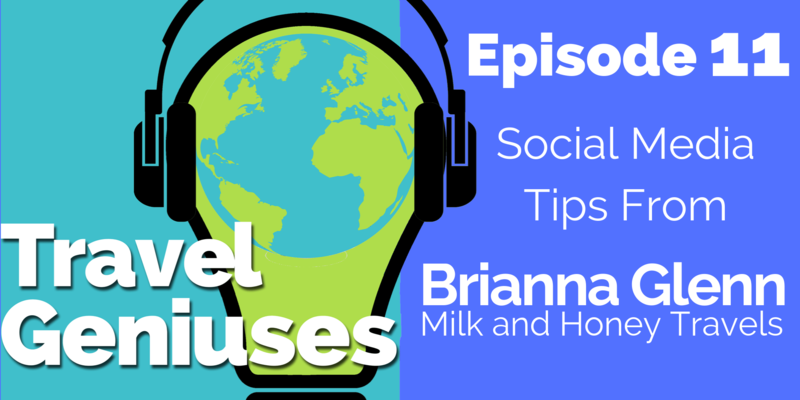 What we’re talking about today is how make sure people understand that you are a travel agent, and that you can help them plan amazing vacations, while still creating interesting and engaging content. This has to help us grow our businesses! But we don’t want to be pushy, or salesy. No one will follow you for that kind of content. And finally – don’t forget to pick your niche! You really should have this nailed down before you start any sort of social media plan. If you don’t know WHO you want to help, and WHAT you’re helping them with, you can’t possibly know what to say to them online.